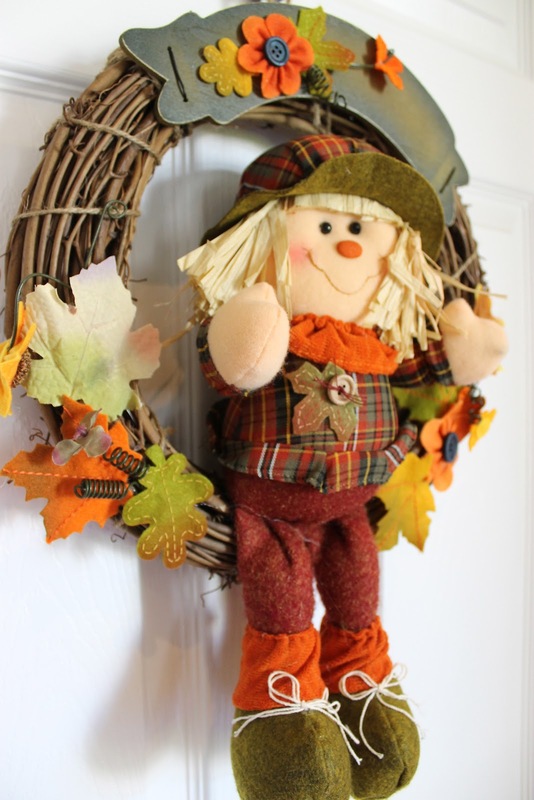 As the weather continues to get colder, more of my fall decor emerges from storage and happily finds its place around my home. So far, I've hung my fall wreath and shown some examples of a fall tablescape done three ways. 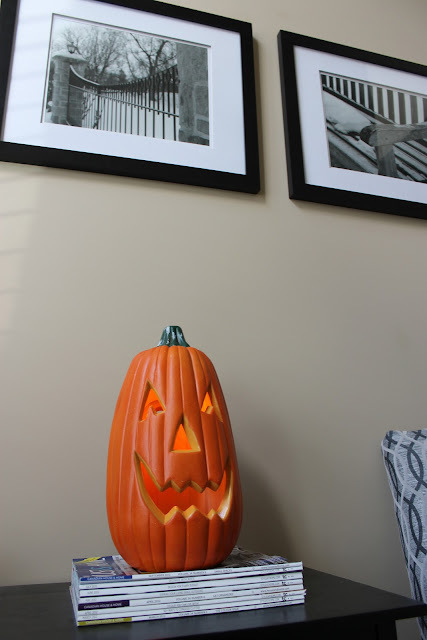 I updated my entryway to include a few touches of fall decor - a ceramic pumpkin candle beside a mercury glass vase, and a scarecrow door hanger. I added a few hardcover books turned title-side in for a touch of whimsy. 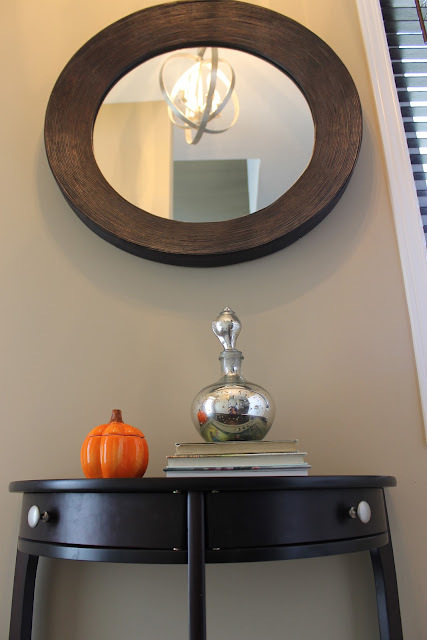 The mercury glass vase normally sits in my living room, but I decided to repurpose it in the front entrance (plus I put something in its original place). In the living room, (where the mercury glass vase normally sits) I put an illuminated pumpkin. I think it's a bit unexpected in a formal space such as a living room. 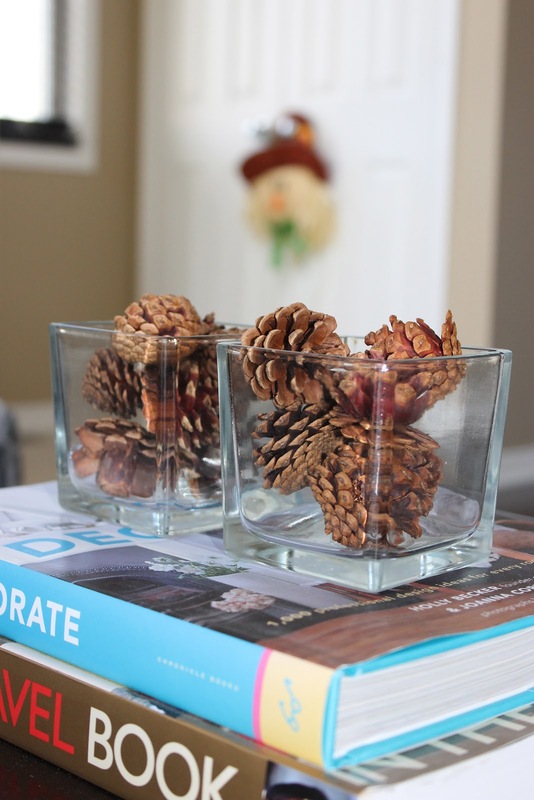 On my coffee table, I placed two glass votive holders with mini pinecones. 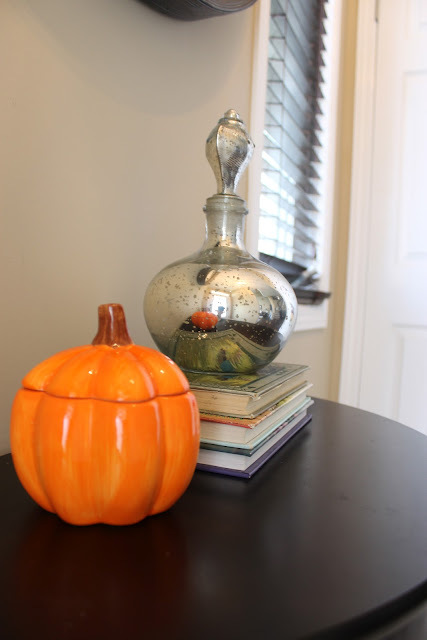 Ok, I know, I reused this idea from my fall tablescape post. But, I liked the idea so I think that gives me a pass. In the kitchen, I added a fall-themed mat. 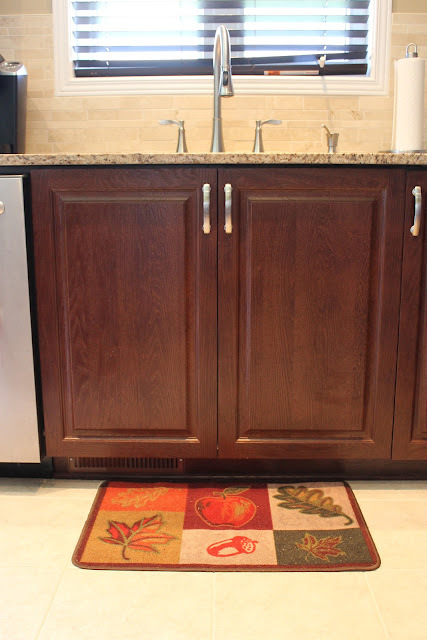 It adds a nice shot of colour to the space, and matches the brown cabinets and beige tones of the backsplash. 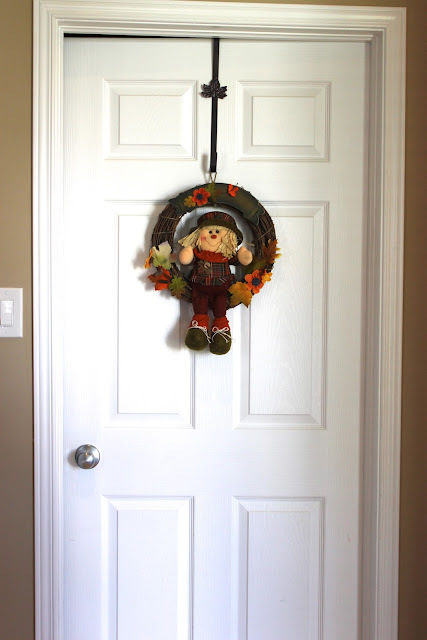 On the door in my kitchen leading to the mudroom, I hung a cute wreath with a fall bonhomme. 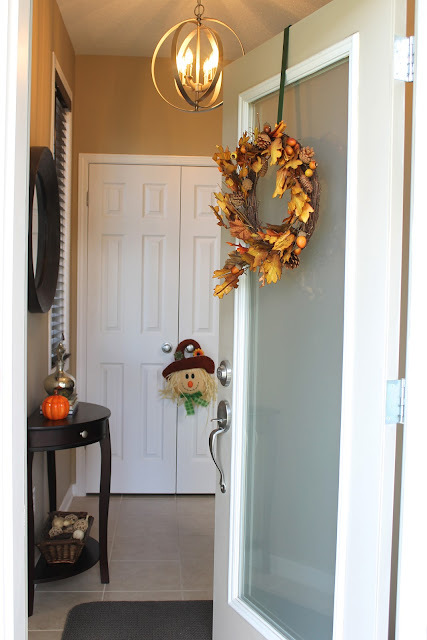 Have you made any easy fall decor changes in your home lately?